Your guide to the top sites for eSports betting in UK! So you’re one of many punters in UK looking for the best video game betting experience? Good, because we certainly got you covered! If you’d like to bet safe and secure, the promoted brands listed below are first of all those that we at eBetFinder have a closer partnership with. What this means is that we’re able to help you out if you ever bump into any trouble with these bookies. Just send us a message! 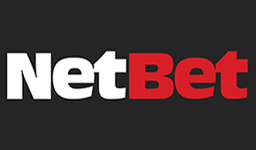 Should you prefer betting with a top site scored with an unbiased mind, just skip the list and you’ll find a filter with the best eSport bookies in UK independently rated and reviewed! – Hover over a brand with your mouse/finger for a preview of it! No matter what type of data you’re taking part of, it’s always wise to ask yourself “can I trust this information?”. 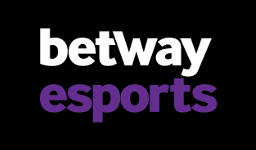 There are a lot of sites that are promoting eSport betting operators in the UK, but actually not being honest in their reviews as they are being paid to advertise them. 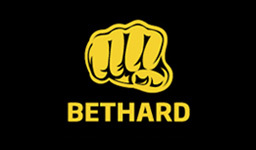 We at eBetFinder don’t beat around the bush about things. 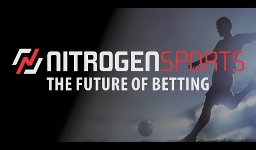 We’re also partners with some eSport bookies, but we never let that affect our core value which is having a fair and balanced rating system that will provide you with accurate information. These are the basis of our reviews, but there are of course several other factors that also play a big part in an operator’s total score, such as the frequency of promotional offers, loyalty programs, mobile experience, products to gamble on and various site features. Finding an eSports bookie in the UK is almost as easy as ordering a portion of fish and chips. You can turn anywhere and start having those bets placed immediately, but unless you’re fine with soggy chips and a day old fish, you don’t turn to the first place you find, right? The same quality standards apply for eSports if you want an awesome experience. 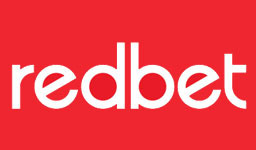 We at eBetFinder have of course made the choice very simple for you by reviewing and rating eSport bookies in the UK. If you choose one of our top rated sites, you can be sure to get an overall amazing eSport experience. It is however important to know that all sites have their own strengths and weaknesses and you should therefore take into account what’s most important to you before making your decision. Is it important for you to have a 24/7 customer support available or could you do with a limited one? Are there any special deposit methods that you’re looking to use, such as PayPal or Bitcoins? Do you prefer to have a wide selection of entertaining markets or are you only looking to place bets on match winner? Are you interested in very fast withdrawal times or are you fine with waiting a day or two to have a withdrawal processed? Do you care about extra features, such as cash-out options and live streaming of matches? Can the bookie be a pure eSport one or do you need other options to gamble as well, such as casino games and bingo? A part from the above questions that can have a great impact on the quality of your eSport experience, it’s important to know that welcome offers may vary greatly from one site to another. These bonuses can be very valuable as they can boost your earnings and make it easier to achieve a profitable withdrawal. There may be a lot to consider, but all the information you need to make the perfect selection can be easily found in our brand reviews. 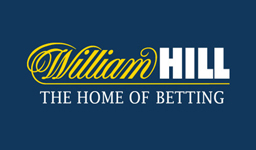 There are undoubtedly a lot of reliable choices of eSport betting sites in the UK, but if we were to create a top 3 list it would be with William Hill that’s been in industry since 1934, Unibet which has been operating since 1997 and Betway that’s been around since 2006. Using bonuses is usually a great way to boost your betting profits and generally no offers are as good as the first bonus you receive as part of an operator’s welcome offer. 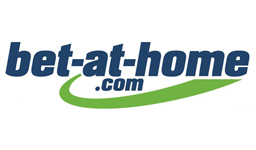 In the long run you might want to stick with one site, but there’s no reason not signing up with as many bookmakers as possible just to cash in on all of their valuable welcome offers. It’s actually a highly recommended strategy. By doing so you’ll also be able to receive plenty of promotional offers that might be worth taking part of directly to your e-mail. Just make sure to create a specific e-mail account for this to avoid spam. With the increasing popularity of competitive video gaming, eSports betting has gained a lot of ground and these days you can find a wide selection of different games to bet on at the UK bookies. The most common ones are of course the most popular ones and these currently include League of Legends, CS:GO and Dota 2. For these three games the betting options are huge. The coverage does of course vary from one site to another, but you can expect a wide range of matches ranging from the biggest events to qualifier tournaments and regional leagues. On top of this there can be tens of different markets to bet on, such as the team getting the first kill, the duration of the match and the final score in it, as well as a huge number of outright bets for larger tournaments. While these are the most common games, they are far from the only ones you can bet on. Matches on Starcraft 2, Overwatch, King of Glory and Hearthstone are regularly up for betting, just to name a few. In total we have a massive number of more than twenty eSport games covered on our site that we have seen odds offered for. This means that no matter what your favorite game is, it’s very likely that you can bet on it, as long as it has a competitive scene and tournaments with decent prize pools. ❔| Is it legal to bet on eSports in the UK? As long as you’re at a legal age, it is indeed! ❔| What is the legal minimum age to bet on eSports in the UK? For all online gambling in the UK, including betting on eSports, the minimum age is 18. This is also the age that bookmakers usually require you to be to be allowed playing with them. Betting at a younger age than this is a criminal offence so if you’ve not turned 18 yet we highly recommend you to wait a few years before starting your eSports betting journey. ❔| How does eBetFinder select eSport betting sites for the list? Being active in the industry for quite some time, we have a pretty good idea of which the best eSport operators are which of course have been the obvious choices to list. On top of this many brands are reaching out to us asking to get added. Far from everyone makes the list, but if they bring something of value they are added. 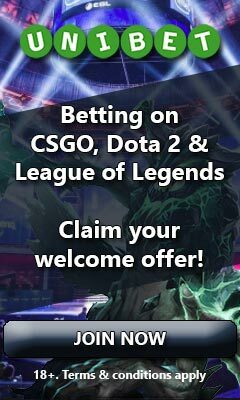 This way we actually don’t have to actively look for new eSport bookies, but they are coming to us. ❔| Am I allowed to bet with more than one UK operator at the same time? Of course! In fact, you should sign up with more than one. Not only are you able to take part of more welcome offers that are usually very valuable, but you’ll also receive promotional offers send out to you and using bonuses is a great way to increase the chances of making a profit. If you want to be really picky about making the most money out of your experience, having an account with several operators will also allow you to compare odds and pick out the best ones. ❔| Why is the operator requesting an ID and other personal information from me? This is part of something that is called KYC (Know Your Customer). Basically all licensed operators have a bunch of laws and regulations that they have to follow to be allowed offering their services. This is to prevent fraud and money laundering from happening and to do that all players have to be identified. That’s why you’re required to send in a copy of your ID and sometimes a proof of address and a proof of your deposit method as well. This may be a bit inconvenient, but is very important and if you’re ever worried about sending in these documents – don’t be. As long as you’re playing with a licensed and trustworthy operator everything is stored safely. ❔| I found a site with a godly deposit bonus. They don’t have a UK gambling license but they accept UK players. Should I trust them? Sometimes yes and sometimes no. If you want to be able to file a complaint and receive full support from the UK gambling commission in case you would get in a dispute with an operator, it’s crucial that they have a UK license. However, this doesn’t mean that an operator that hasn’t got one can’t be trusted. If the bookie has no license at all you should probably stay away because chances are that something fishy is going on, but if they have one from MGA, Curacao or any other regulator they are likely safe. Our best recommendation would be to look up the license (usually found at the footer of the page) and then get a feel of the website. Have a chat with the customer support and see if texts are nicely structured and grammatically correct. If it’s a high quality website you’re probably good to go, but if a lot of things are off it might be better to stay away. Yes, no problem! All licensed operators are required to have this included so it should be easily found under your account setting. Usually you can choose to set a daily, weekly or monthly limit. ❔| I have self-excluded myself. How do I open up my account again? Unfortunately you can’t, but this will automatically re-open once the self-exclusion is over. Unlike time our periods that can be specifically set by you, a self-exclusion is always lasting for six months. If a bookmaker is licensed under UK regulations it’s extremely important that they follow this and there is no way they will re-open your account even though you request it. ❔| Can i bet on eSports in UK from my mobile? Of course! These days betting from a mobile device should be possible to do at any bookmaker. Some also have a mobile app developed which makes the betting experience an even better one. ❔| I just created my account and accepted a bonus. I can’t play casino. Do I need to create a new account for that? This is most likely due to the fact that the bonus you’re taking part of is only made for betting. This means that your entire balance has been locked for this type of gambling and before being able to play casino games or any other products you would either have to fulfill the wagering requirement that the bonus comes with or cancel it. We highly recommend that you refrain from creating another account as having multiple ones is never allowed and get you in trouble. 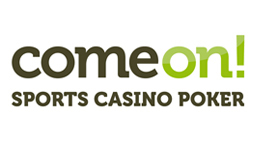 ❔| Except for sportsbook and casino, what other products can I expect to find at a UK operator? With some operators this is all you’ll find and for most people this is actually more than enough as casino games include slots, table games and video pokers. 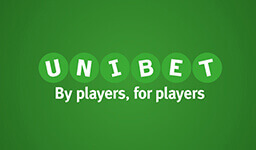 You are however able to find UK bookies that offer bingo games and a poker client as well, which Unibet is a perfect example of. As you may already know, these are both very social games that are enjoyed together with other players. ❔| Do I have to pay taxes on my winnings? As long as you’re playing with a UK licensed site you fortunately don’t have to pay any tax on any of the winnings you make. This means that you’re able to play with the safe knowledge of knowing that everything you earn is yours to keep. It is however important to note that if you’re based outside the UK and choose to gamble, it’s not the UK tax laws that apply, but the laws in the country that you’re currently living in. 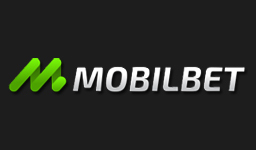 ❔| The betting site I signed up with also offers mobile gambling. Do they need a specific license for that? They don’t need a specific license for it, but if they are promoting eSport betting, casino games or other online gambling products in the UK they are required to possess a license which has been issued by the UK Gambling Commission. ❔| Which is the best payment method when gambling? We would have to go with PayPal on this one! Not only does this payment platform allow you to make deposits without ever providing any sensitive details, but your withdrawals are also instant once the bookmaker’s payment department has processed it. Full security and money quickly received – it doesn’t get much better than that. As the majestic clock on Big Ben is taking a spin around its axis, the world of competitive gaming is becoming more and more popular in the UK. It’s the home to some of the most successful eSport teams, such as Team Fnatic and Team Dignitas, and all around the country we find a new generation of people that is enjoying action packed and professional matches on video games while dunking their biscuits in tea. Not only is the number of people watching these competitive matches increasing in the UK, but every day a new eSports punter is born. We’re living in a time where eSports betting in England is becoming a hobby for tens of thousands of people. In the heart of the country, we find London’s eSport industry filled with enthusiastic gamers placing bets on their favorite teams while riding the double-decker to work. It’s a phenomenon that is becoming as common as the roast dinner on Sunday and the regular pub visit. You might be singing God Save the Queen, but it’s a new age arising in the UK and eSports is undoubtedly the king of this.